These instructions lead to the setup shown in Figure 8: I connect the buzzer, or the base of the transistor if you are using a siren, to pin 13 with a 1K resistor. 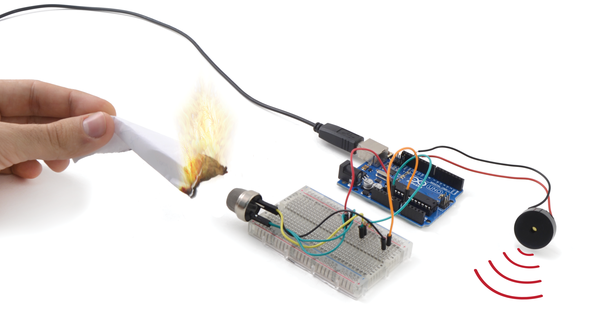 You can also set up the smoke sensor as a generic analogical sensor. The final product is a homemade detector device like the one shown in Figure 9. Figure 8: Connection schematics for the fire alarm. 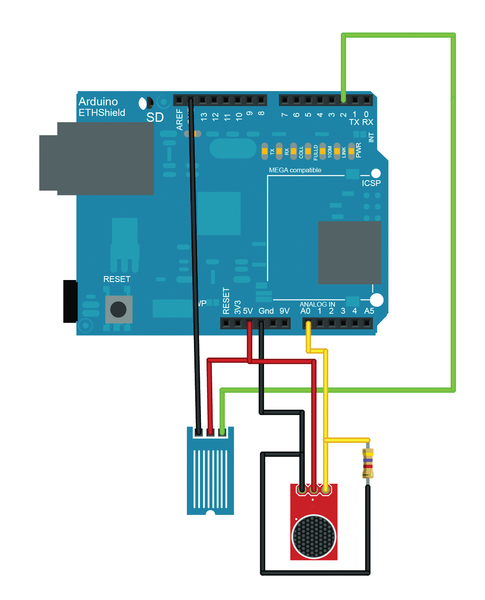 Figure 9: A working DIY home fire alarm. In the second example, which you can see in Figure 10, connect the fluid detector as a digital device and the methane detector in a fashion similar to the smoke detector. The difference is you're going to mount an Ethernet shield on top to upload the data to the web. 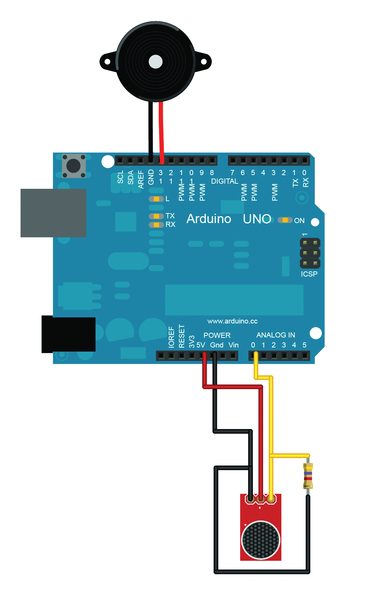 The Ethernet shield sits on top of the Arduino, and you can access all the I/O pins through the shield; additionally, you can connect the device to your network. Figure 10: Schematics for the monitoring system. Listing 1 shows how to monitor for the presence of smoke. If the amount detected exceeds a certain limit, the program activates the alarm, sending a HIGH signal to the designated pin. The second example (Listing 2) measures the analogical and digital values from the sensors and uploads them to a website. The data appears as a simple line on the IP address assigned to your web server, as shown in Figure 11. Figure 11: The readings from the sensors are uploaded to a web page.